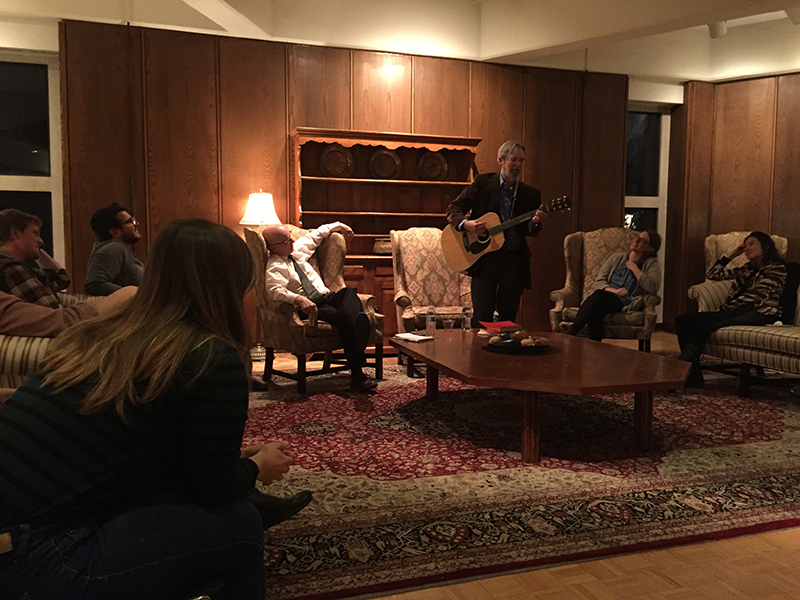 This spring, students pursuing the Certificate in Theology and the Arts (CTA) had the opportunity to participate in an evening of discussion, storytelling, and song with Dr. Richard Hays. Dr. Jeremy Begbie kicked things off by conducting an informal interview of Dr. Hays, asking him about his journey to New Testament studies and how his love of literature influences his scholarship. Along the way, Dr. Hays picked up his guitar and sang a few songs that have been particularly meaningful to him in different seasons of his life, including an original composition he had written in college for his future-wife. Particularly moving were Dr. Hays’ reflections on his favorite passages of poetry, including Eliot’s The Four Quartets, which took on special significance as he underwent a season of health troubles and approached his retirement. 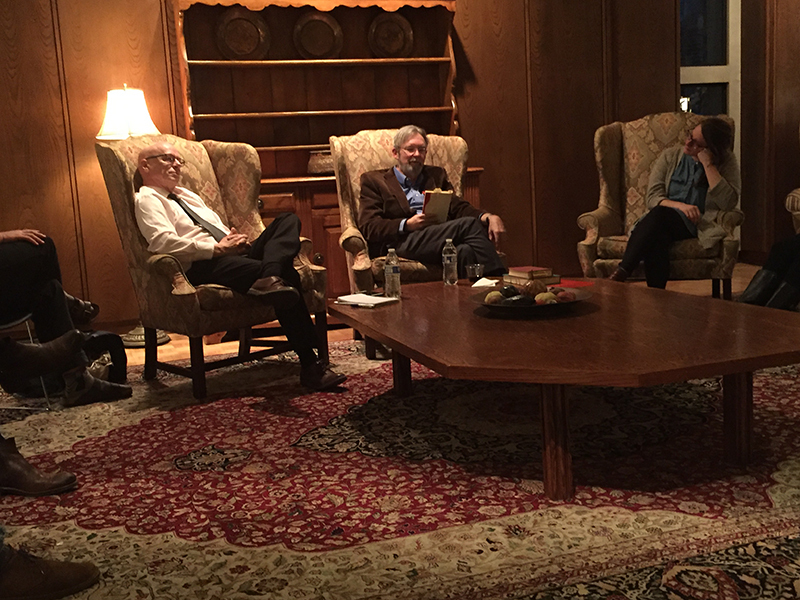 Dr. Hays challenged students to continue the integrative work of theology and the arts, and prayed over the group. 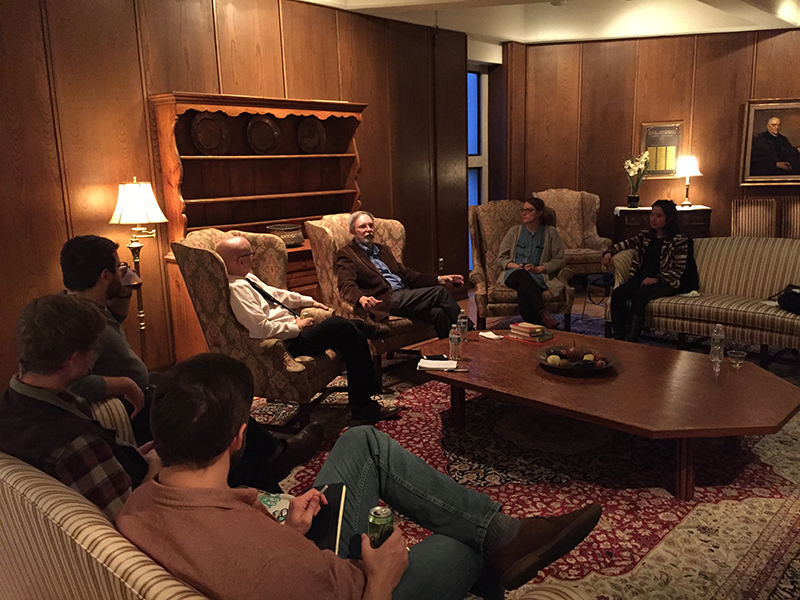 For the students in attendance, it was an all-too-rare experience: the opportunity to witness the humanity, heart, and hard-earned wisdom of one of Duke’s most distinguished faculty members a week before his final class.